Yes, I'm unwell, but I'm still playing with Meringues! How dare me! Shouldn't I be resting and sleeping? Oh no, not when I'm home. I just can't keep away from Kenwood & Delonghi! I think there's some magnetic in me, which gets attracted to Kenwood & Delonghi. Unless I'm kept away from home, otherwise, with a whole day at home, and I can't even bake??? You must be joking then! With the leftover royal icing in the fridge, I really had to decorate the cookies that I baked last weekend. Since I have more time today, I explored with more colours. It's quite a tough job decorating the cookies! However, I'm quite happy with the beautified cookies. I think we are having the same feeling at the same time. I bake swiss roll yesterday too! But this time I baked in M'sia with my mother in law. My hand just can't stop touching those kitchen stuffs. I would post it few days later as I really busy visit here and there. 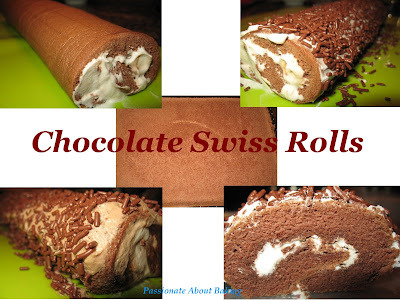 Your swiss roll looks really tasty and rolled it very nicely. I feel shame to post it up :( coz my swiss roll doesn't looks good. Well done Jane! Please take care and rest more if you not feeling well. Get a healthy body so that you can bake more and share more with me. Cheers! I shall try out the chiffon method of swiss roll one day. 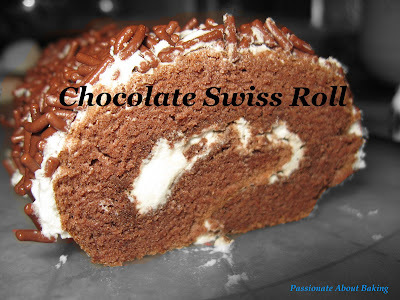 Because everytime I saw those chiffon swiss roll looks better than the recipe I'm using. Thanks for sharing! Cheers! Just come to visit and I can see that you are really have a passion for baking haha. I can't stay still when I'm at home too, I have to bake and cook, otherwise I will get a headache. 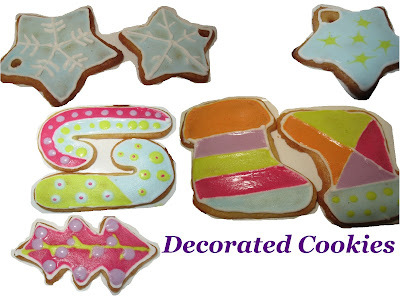 Your decorated cookies are so cute, Jane. 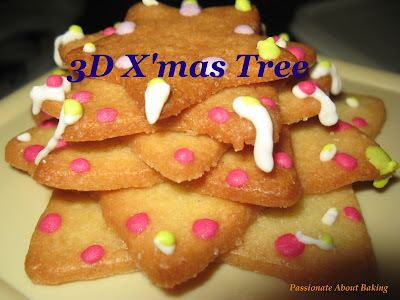 Are they a dry run for your Christmas goodies?